One of the most useful tools we can carry is a calculator , and even more so if it is scientific and we have needs that go beyond simple arithmetic calculations. From the time of the abacus and bring the calculator in the backpack to class, it has rained a lot, simplifying – and cheapening – the support that this ingenuity provides through the apps. 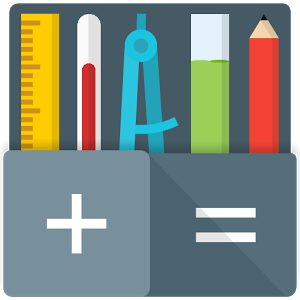 Since now our smartphone is much more complete than a Swiss army knife, we will try to collect the best scientific calculator apps for Android from the hundreds that can be found in the Google Play Store. While calculators were seen as enemies of mental calculation, the truth is that since the data is provided by oneself, they are nothing more than gadgets that greatly simplify certain operations. Without a correct data input or the unequivocal choice of a function, there will never be a correct result. Scientific calculators are more complex versions of traditional calculators that allow trigonometric, statistical, algebraic, financial models and even games. A priori do not seem very useful for ordinary mortals, but the truth is that trigonometry completely surrounds us, being present in the calculations of all those buildings in which we live: how will not a professional the construction take it with you at the time of a presentation or just to clear up doubts? In the same way it happens with statistics: more than one will want to unravel how the odds are obtained that something will happen , including if your soccer team is going to win your match and how much money you will have to bet for each of the results that can be given . 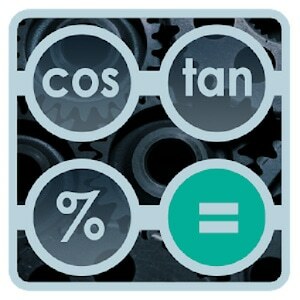 The 5 best apps for scientific calculators for Android. We will choose the best apps based on the assessment given by users, because in the end, the important thing is the utility that can be extracted from them, their functionality and the user experience they generate. Most of them are free, although we have included a few payment, considering them worthy to be part of this list. We start the list with the All-in-one Calculator Free . This app developed by Mindbox comes very well valued by users. Free and easy to use, it contains no less than 75 different calculators and unit converters assembled in a single scientific calculator. You can customize the look (with 40 possible visual themes) and announce yourself as “the only math app that you will need from now on your mobile” . Its appearance and color may suggest a simpler use, even school. But the truth is that it is a tool that can be useful to very varied professionals. It also contains special functions with which to create graphics and a converter that covers about 160 different currencies , available even offline. You can configure it with your favorite lists. Let’s speak second of the adfree scientific calculator of Roaming Squirrel . This payment option is so well valued by users that we could not pass up the opportunity to include it. It is a scientific calculator that contains 12 computing modes in a single application and also a scientific reference section. It has different modes of operation: basic, scientific, programmer, graphic, matrices, complex numbers, fast formulas, fast converter, time calculator, resolution of equations, infinitesimal and financial calculation . As an extra it includes the periodic table of the elements and its appearance is also customizable. In its section of references you can find very useful documentation, ranging from elementary algebra and matrix to the main physical laws, the names of the metric system, mathematical tables, trigonometric identities, statistical formulas and a good handful more, ranging from calculators of the Body mass index to moisture calculations, logic or empirical formulas. Perhaps the list includes the most complex functions, without leaving any of the fields that we have mentioned in the others (statistics, etc.) , includes many more without ceasing to be a tool of simple and intuitive use thanks to a careful interface, in addition to a careful and customizable appearance. It includes 300 scientific constants and you can convert about 600 different units. Dialog boxes facilitate its use and include a very complete user guide. You can also choose a Pro version with which you would include even more specialties. This app, called Natural Scientific Calculator ( Stultus Studios ) , we especially liked the possibility that includes sliding on your screen without using “buttons” . You can share your equations or calculations with other users and sort them in a Favorites section or in the History section . Its design is attractive and allows you to purchase extra utility packages. They also boast of their “natural” function , which writes the equations as you would. They are very active in updates and offer a good service. 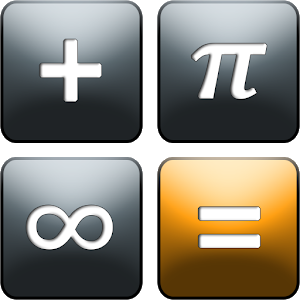 Finally, we will mention the Scientific Calculator app, by MobiMagic . An all-terrain calculator that works in three different modes and with practically the same functionalities as the others. It adapts well to smartphones with small screen size and gives you the feeling of being pressing real keys. We hope that among all these magnificent apps you find the one that is most useful to you, without a doubt they represent a work done with a lot of care by the developers.